Undoubtedly the pièce de résistance of Century Club, we are proud to host the largest rooftop terrace in Soho. 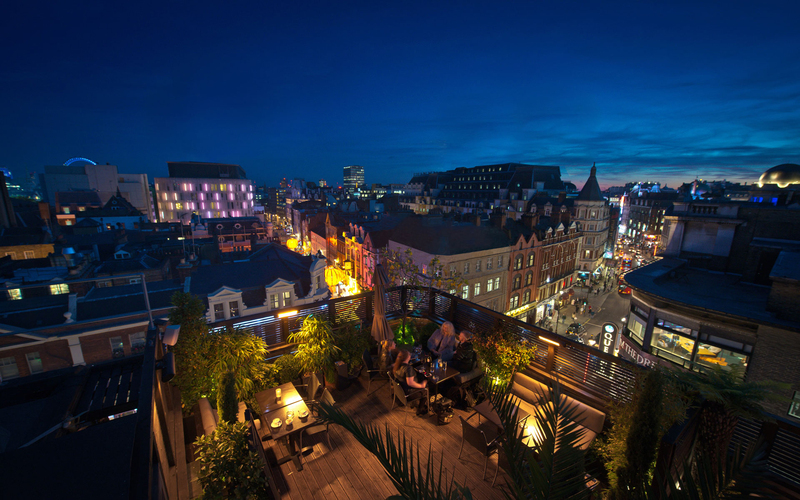 With stunning views over Shaftesbury Avenue, and London’s iconic skyline, the terrace is the ideal spot for a leisurely drink or an Al Fresco dinner. With a fully retractable roof, this is the perfect place to make the most of those long summer evenings whilst also accommodating for the unpredictable English weather, we have this covered – literally! For those who cherish their privacy and seek to unwind, the Century Club Lounge & Restaurant provides a decadent yet relaxed atmosphere. Situated on the second floor and decked out in our distinctive and luxurious décor, the lounge is the ideal sanctuary to reflect and indulge. 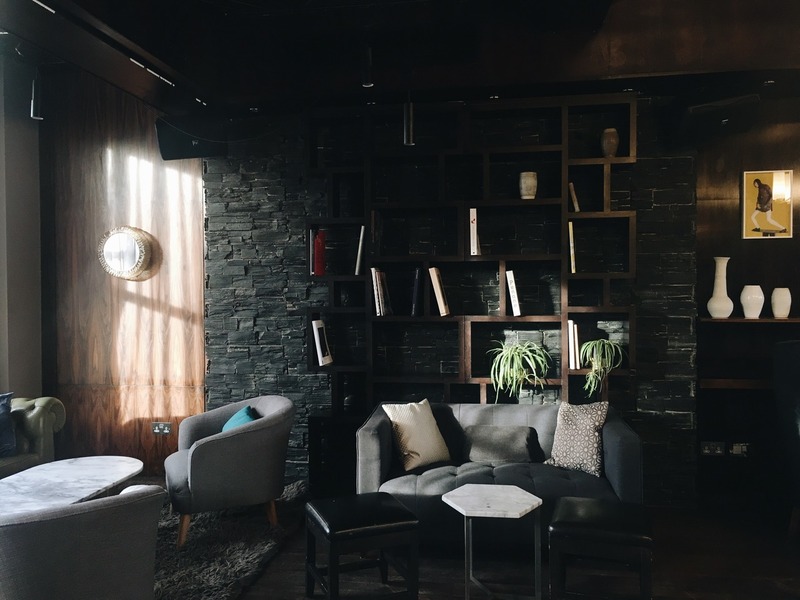 Featuring welcoming sofas and, most importantly, its own dedicated bar, the lounge is a haven in the Capital. Within the lounge you will find our main restaurant, beautifully set and overlooking St Anne’s Churchyard makes this the ideal place to dine with guests. The Green Room is a beautifully unique and stylish space that offers our members a wonderfully decadent and multi-functional room. 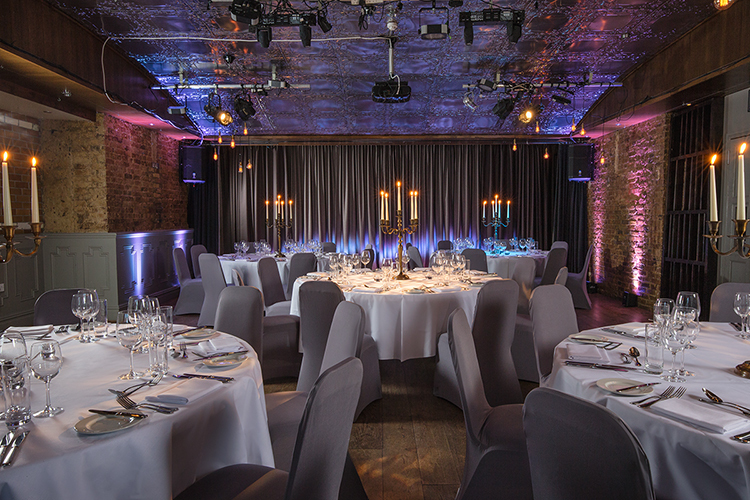 With exposed brick walls and a flood of natural light the Green Room flawlessly accommodates a range of our curated member’s events, including live music performances, networking drinks and private screenings. 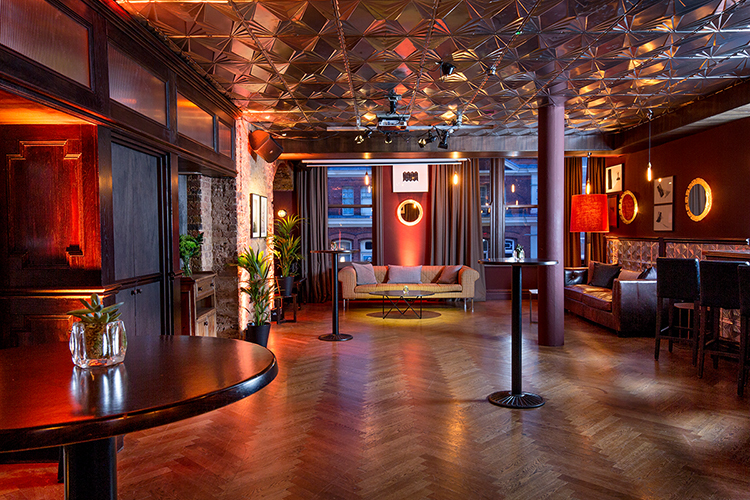 This gorgeous space also showcases the very best music, film and comedy, and is available for private hire. The Cocktail Lounge is our very sophisticated and luxuriously voguish space. Our expert bar team serves up an inventive, colourful range of cocktails to deliver both artistry as well as a delightfully subtle kick for even the most fined-tuned palate. 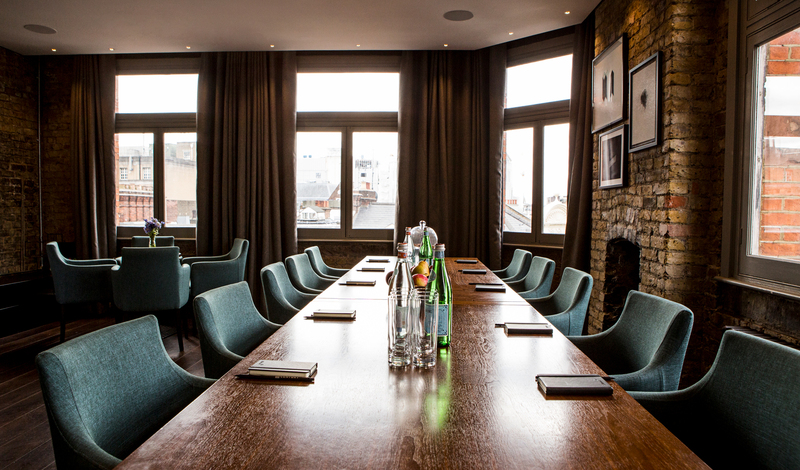 The Park Room is our brilliant small meeting room hidden away on the third floor. 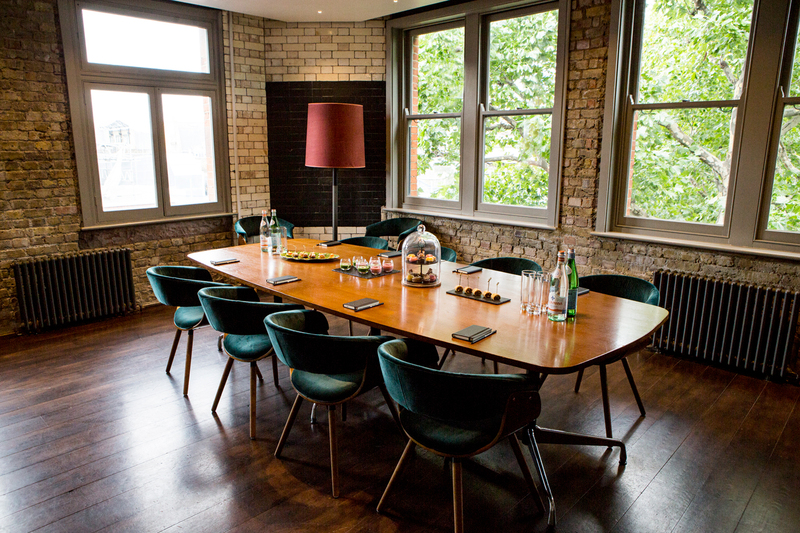 Flooded in natural daylight and equipped with a 55” internet television, is an ideal space for a board-room style meeting, creative brainstorming, small receptions, or even intimate private dining. We will also provide complimentary tea, coffee and soft drinks to fuel your productivity.